Spring is here, so we’re probably all busy getting yards and gardens cleaned up and ready for the year. Here I’m busy making over my gardening and yardening after taking the UConn Cooperative Extension Service Master Gardener course last year. Layered on top of that is all that I’m learning from volunteering at the Denison Pequotsepos Nature Center’s Giving Garden at Coogan Farm in Mystic about no-till-no-dig and bionutrient intensive farming. So instead of cutting back on other activities, like this blog, I’m going to be ramping up my use of social media. Specifically, LedyardWalks will become more outdoors, nature oriented. As that happens there may some format changes as this evolves. The walks will not change, my Pancake Breakfast Walk on the 1st Saturday of every month will continue. I’ll also be doing additional walks in Southeastern Connecticut, and nearby Rhode Island. If you have a particular walk, or topic, you’d like to see covered in LedyardWalks let me know through the comments. 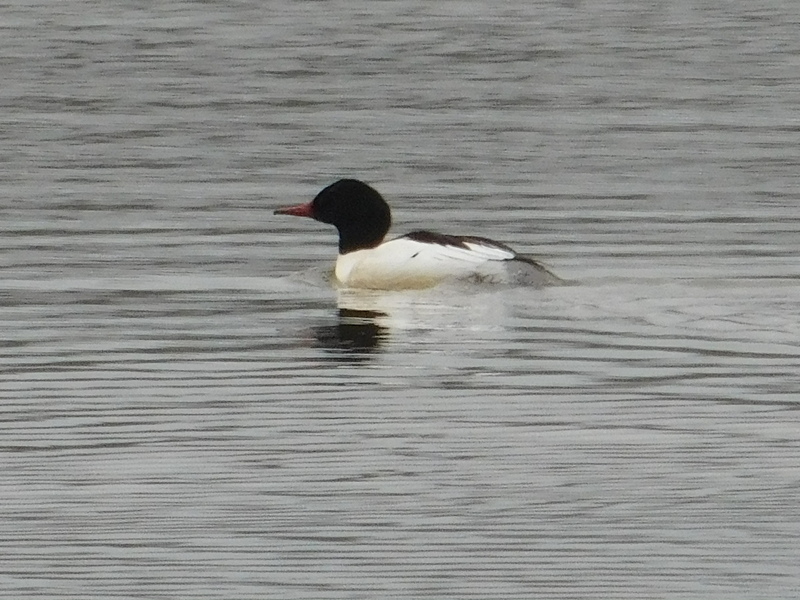 Early spring, Common Merganser male.